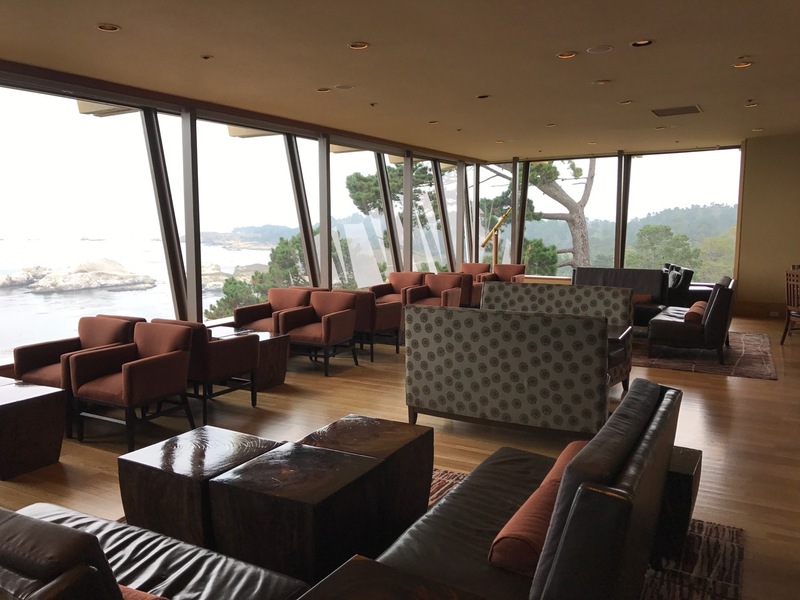 The Hyatt Carmel Highlands, also known as the Highlands Inn, is my favorite Hyatt hotel in California. This Category 7 Hyatt property (30,000 points per night or 15,000 points + $250/night) is located along Highway 1 on the California Coast, just south of Monterey. Last year I spent 10 nights at this hotel and will likely meet or exceed that again this year. The hotel has only 48 guest rooms, meaning it is often sold out. The property is not a single building but multiple buildings clustered on the mountainside. About half of the units are timeshares while the other half is reserved for hotel guests. The hotel has a craftsman/lodge style motif. The first time we visited this hotel, we arrived late and were assigned a standard room two levels below the pool, along the hotel’s driveway. While the room was spacious enough, it misses one of my favorite elements about this hotel: a wood-burning fireplace. Binoculars are available in each room for bird watching. And DVD players. How quaint. Bedside lamps have USB ports and plugs. Coffee (Keurig machines) is horrible. Bring your own! To ensure you have a fireplace, you need to reserve a Townhouse Suite, which I’ll review in my next installment on this property. You can see the rooms are nothing special. You are paying far more for the location than a luxurious room. The suites are much larger, but in the same style. As best I can tell, this hotel is both a Hyatt Residence Club and a Hyatt hotel. That “and” is extremely important, because Globalist members of the World of Hyatt program are technically not eligible for complimentary breakfast at Hyatt Residence Club properties. But breakfast has always been complimentary for me at this property. It’s also one of my favorite things about this property. Every time I am here I try something new, as the pictures below demonstrate. Ask for Makiko or Sharma to be your waitress. Both are amazing. A large patio offers outdoor seating, but we prefer to sit indoors. The views are amazing and breakfast is always a treat. On weekends, a brunch is offered. The ciopinno at this restaurant is my wife’s favorite. Lunch and dinner are also available here, as well as a full bar. Room service is available as well, though not 24/7. Self-parking and valet parking are complimentary. I usually drive as close to my room as possible and park there. Last year, I did experience a “hit and run” incident where someone backed into my bumper and took off without leaving a note. Although the ocean is very close, the hotel has a heated pool. I’ve rarely see people in it and have never seen it crowded. Perhaps that is because the hotel does not keep it very clean. The hotel also has a couple of fire pits, which are nice on cold autumn and winter evenings. Wood is available all over the property for guest rooms with fireplaces. You can just help yourself or call guest services to have it delivered to your room. While small, the fitness center offers a mix of cardiovascular and strength training equipment, mostly from Life Fitness. Complimentary laundry facilities and soap are available for guests. The laundry room is located adjacent to the fitness center. One-site laundry and dry cleaning services are also available. Daily nature walks are available for $20. They start at 10am and children under five are free. This property is pricey, perhaps unjustifiably so, but it has become a favorite getaway for my family and a new tradition that we look forward to each year. People often complain that the hotel rooms are tired and dated. They are. But there’s a certain rustic charm to them and I don’t mind them at all. You don’t come to this property for the luxurious room. I highly recommend this property as either a romantic getaway for couples or a family-friendly property. Thanks for the wonderful and thorough review of one of our favorite places in the world. For the past six years, we spend two weeks each July here to avoid humid east coast weather (and apparently quite rainy weather this year, too). You are quite right that it is not for everybody and that is just fine. The location is outstanding for wildlife views and easy day trips to Point Lobos, Big Sur, and whale watching in Monterey Bay. 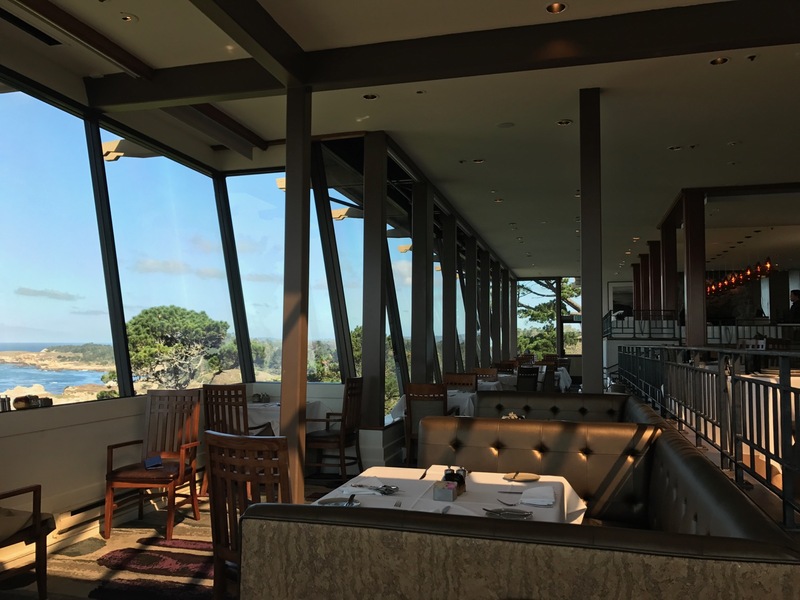 And in addition to the Pacific Edge, the restaurants in the Pebble Beach Lodge are nearby as well as other venues in nearby Carmel. Glad that you like it as much as we do. Thanks for your comment Henry! I just drive up from LA, but also do so to escape the heat. I’ve had dinner there but never stayed there. The biggest drawback is not of the resort’s doing. It’s the two lane highway that on weekends can back up from the Rio Rd stoplights all the way out to the Highlands Inn. At its worst it will take you an hour to go a couple of miles. Yes, it’s hard to book and the prices are steep but the views are magnificent. Someday I’ll try staying there…after I recover from booking the top suite at the Inn Above Tide in Sausalito next week.